The BEST Thing You Will EVER Put In Your Mouth! The perfect summer Dinner! Grilled peaches with Balsamic Reduction and homemade goat cheese was the star of the show! The Mexican street corn with homemade mayonnaise and our homemade cheese with sriracha was pretty close runner-up! 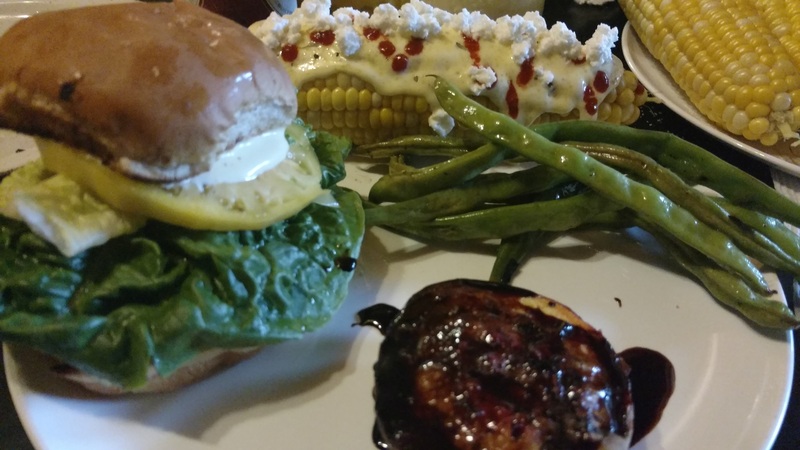 Rattlesnake beans from a friends garden and a burger with our first ripe organic, heirloom, white, slicing tomato tied it all together perfectly! 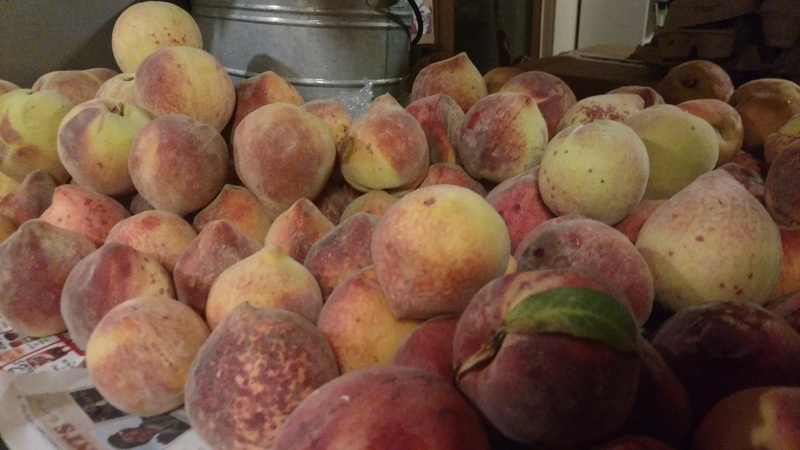 The Peaches we bought fresh from a local Georgia farm, Gregg Farms, home of the best peach ice cream! We make it an annual tradition to go eat ice cream and buy a bushel of peaches and whatever other fresh produce they have! 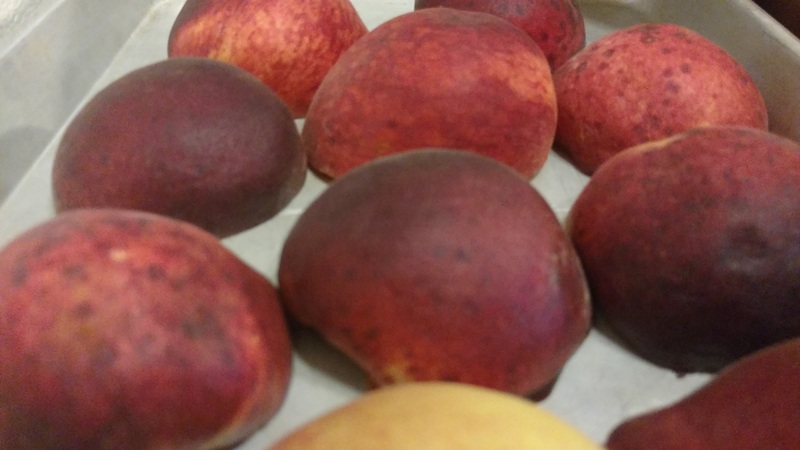 Fresh peaches are not refrigerated like store-bought peaches so the flavor profile is off the charts! The first step to creating this masterpiece, is to cut peach in half and remove the pit from the center. If too ripe it is a little difficult, so choose ones that are still firm to make it easier. If you want to you can coat in oil or just go straight on the hot grill! 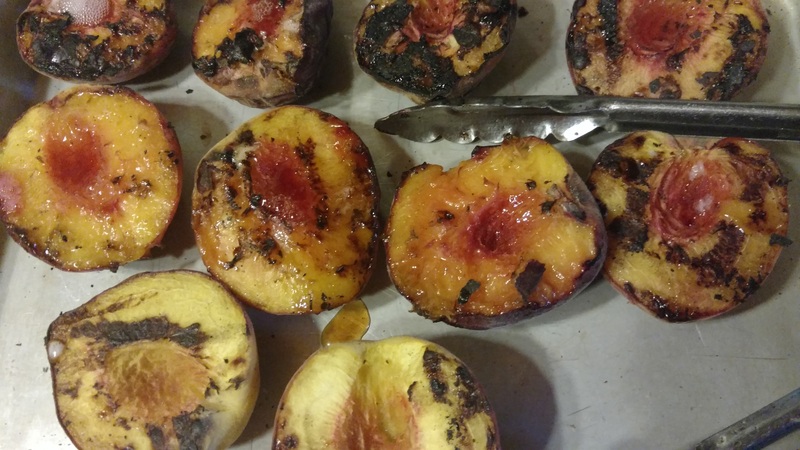 Grill both sides briefly to get nice charred lines on peaches! You can make or buy your balsamic reduction, we make it because it is so easy. Just put balsamic vinegar in a small pan and slowly simmer on low till reduced to a thick glaze but be careful not to scorch towards the end! It is better to pull it off too early and it be a little runny than to burn it! Generously drizzle over grilled peach. If you are lucky enough to have dairy goats and therefore an abundant supply of milk that you turn into cheese then top it with said cheese! Or cottage cheese or goat cheese or even ice cream if you want a savory dessert! This was so good! I ate three! I hope you enjoy it as much as we did! Here is a video of our awesome trip to Gregg Farms last year. Feel free to subscribe to our YouTube channel while you are there! We do a daily video! Thanks for reading and watching Wholesome Roots!